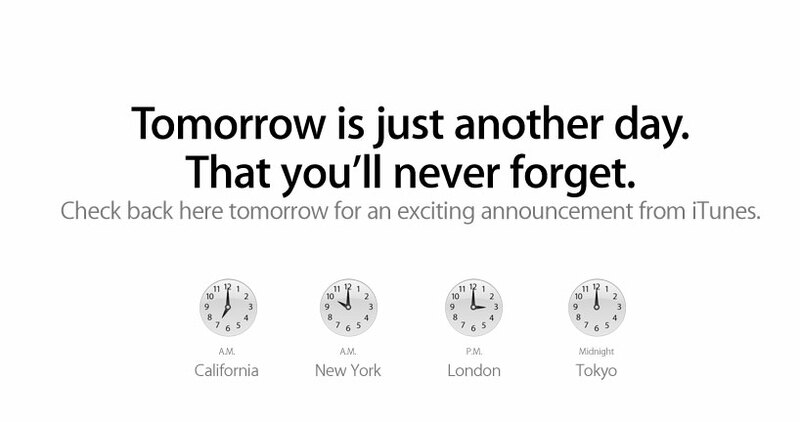 Apple iTune's Announcement "Tomorrow is just another day." Something Big Global in size??? TechCrunch posted a similarity to Photo of the Beatles.... and the rumor of iTune's getting the Beatles albums. 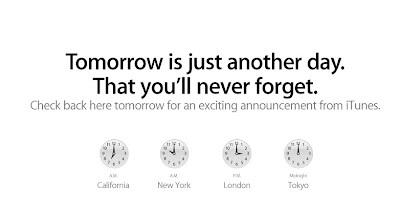 In My Opinion anything they come out with will not be that memorable .. Unfortunately the arrogance of Apple and most other Corporate America ideals of what they say in public announcements will change your life forever..
President Kennedy was assassinated on November 22, 1963 while on a trip to Dallas, Texas. On September 25th, Sandra Day O'Connor was sworn in as the first female judge on the Supreme Court. Mrs. O'Connor had been nominated by President Reagan. January 28, 1986 Seventy three seconds after blast-off, the shuttle Challenger exploded and killed all seven astronauts on board. The explosion was the greatest loss ever for the American space program, and was later blamed on faulty o-rings in the booster rocket. Apple Market Share listed From Research firm Gartner "Apple was the fifth-largest PC seller in the U.S. for the three month quarter starting 2010 with an estimated 1.398 million Macs shipped int the States and Apple only Lagged behind HP, Dell, Acer and Toshiba.